Natural honey is fast gaining grounds as a remedy for almost all manner of ailments and this highly excites me. The reason for this is not far-fetched: honey is an all round natural antibiotic because of the immense load of anti-bacteria and healing agents that are present in this natural sweetener. Take for instance the fact that the pollen in honey contains all 22 amino acids, 28 minerals, 11 enzymes, 14 fatty acids, and 11 carbohydrates. The honey comb where the bee produces its honey is said to be about the safest of places, where no bacteria can ever dare to survive. Honey as an efficacious eye drop is the current great news. Researchers at the Queensland University of Technology (QUT) in Brisbane, Australia, are planning to add anti-bacterial medical honey in their clinical trials involving the use of honey as an eye drop. What has led to the effect and import of this is the frustrations that have been encountered by experts and patients in the use of traditional eye remedies such as eye drops, ointments, gels and steroids. Another attraction for the inclusion of honey in the trending eye therapeutic approach is the disadvantages posed by the heavy chemical based forms of conventional eye medications that also tend to be resisted by the culprit bacteria in the cause of time. 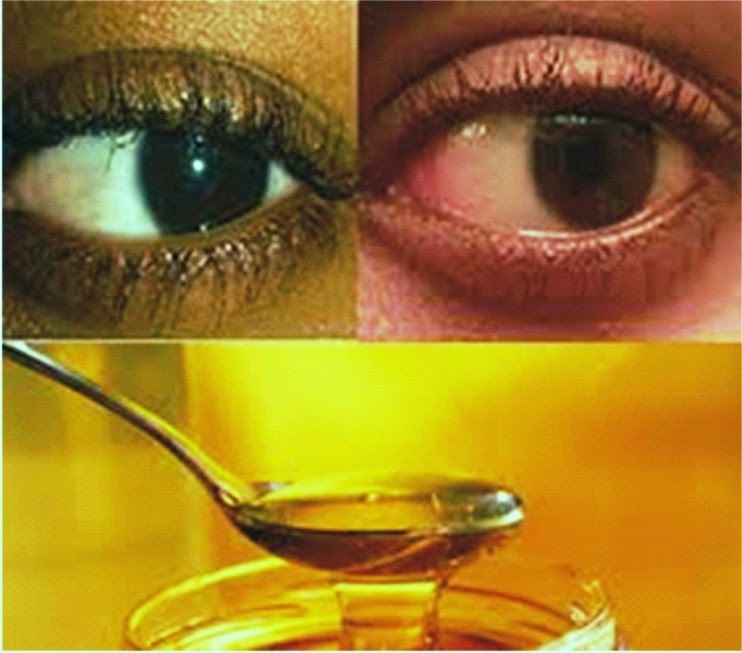 And today honey in its very natural and raw form is becoming very popular for the treatment of various eye problems ranging from Dry ‘itchy’ Eye disease, Trachoma, Pink eye or Conjunctivitis which most people in Nigeria commonly refer to as Apollo, to even Glaucoma and Cataracts, etc. Apart from this presently growing resent medical discovery on honey, all through the ages natural honey has been employed in therapeutic remedies such as the treatment of mild bruises, cuts and abrasions, as well as simple allergies, common cold, etc. All of these are as a result of the fact that natural honey is packed full with anti-microbial properties. Yes, it might sound very ancient a practice, but the ancients are a people also gifted with immense wisdom, or you may call it native intelligence as we say in Nigeria. But one of the greatest of the ancient Athenian (Greek) philosophers and pupil of Plato; teacher of Alexander the Great (384-322 BC) – Aristotle, once said “…honey is a good salve for sore eyes”.